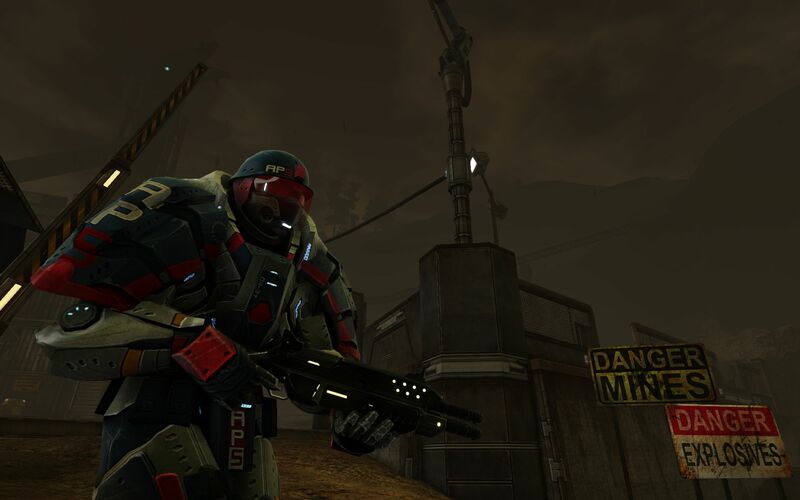 When I walked into Trion's booth at E3, I knew very little about Defiance. 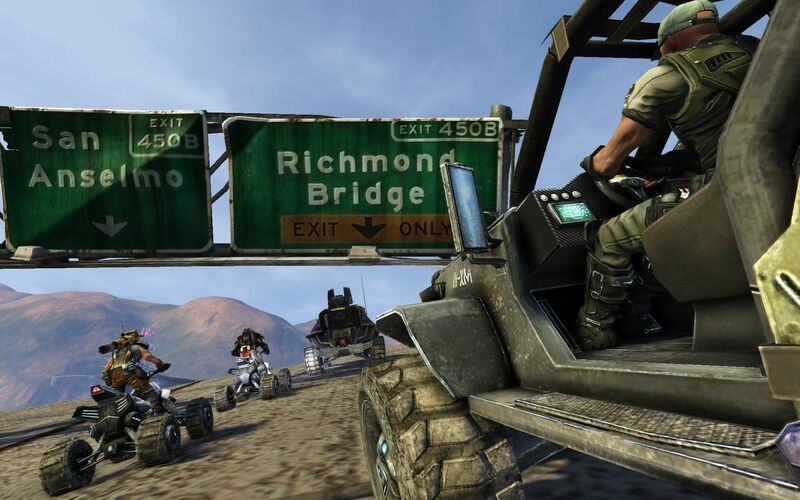 I knew that it was going to launch alongside a SyFy television show of the same name, I knew that it was a massively multiplayer online shooter, and I knew that it was planned to be released on the PS3 and 360 simultaneously with the PC version. 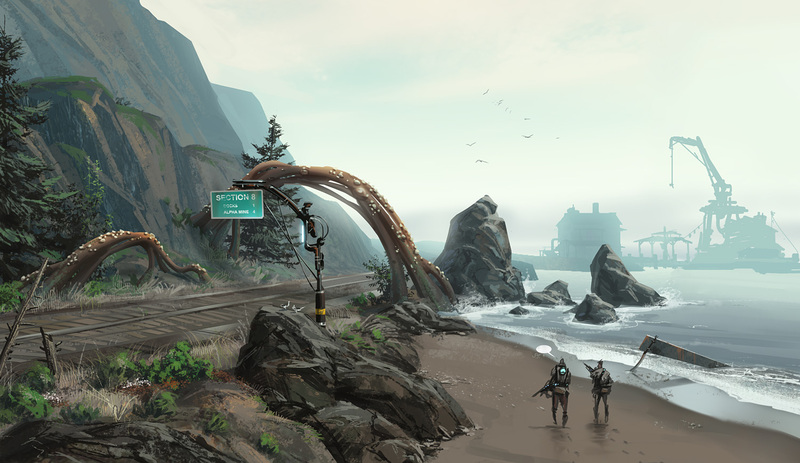 It sounded like an incredibly ambitious project, but I didn't know anything about the gameplay itself. 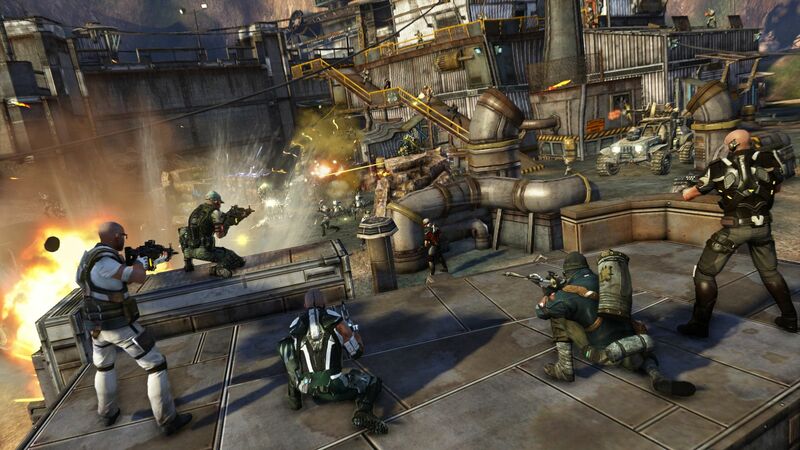 Here's what I know now: Defiance is all of those things, and it's also a hell of a lot of fun. 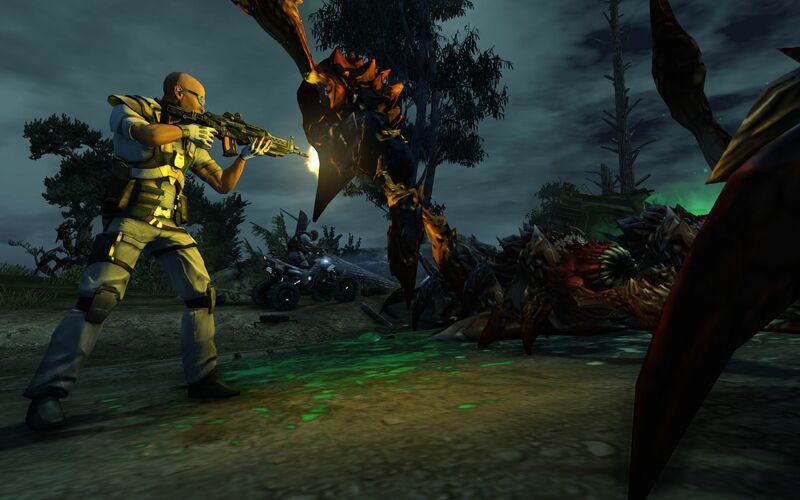 In the not-too-distant future, Earth has become a battleground between humans and a bug-like alien race. Both the game and the television show exist in this world, with the separate entities described as two windows into the same world. 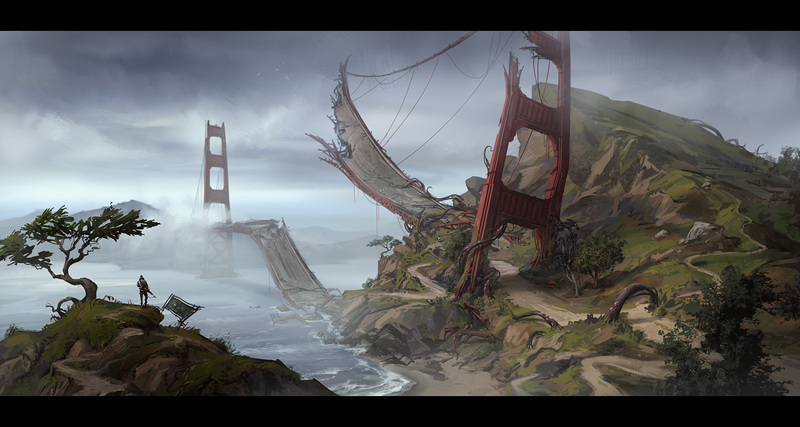 With the show taking place in St. Louis, the game is set in San Francisco, with some planned crossovers between the two. In fact, the protagonist of the TV show actually starts out in the game. It's not exactly clear how much the two depend on each other-will people be able to enjoy the game without watching the show, and vice versa?-but it's definitely an interesting concept. While I was waiting for one of the developers during my demo, I picked up a controller and started playing. It only took a few seconds to figure out what I was supposed to do. Even though it's an MMO, it's completely intuitive to anyone who's played a third-person shooter before, and it was nice to not need a bunch of instructions before I could proceed. 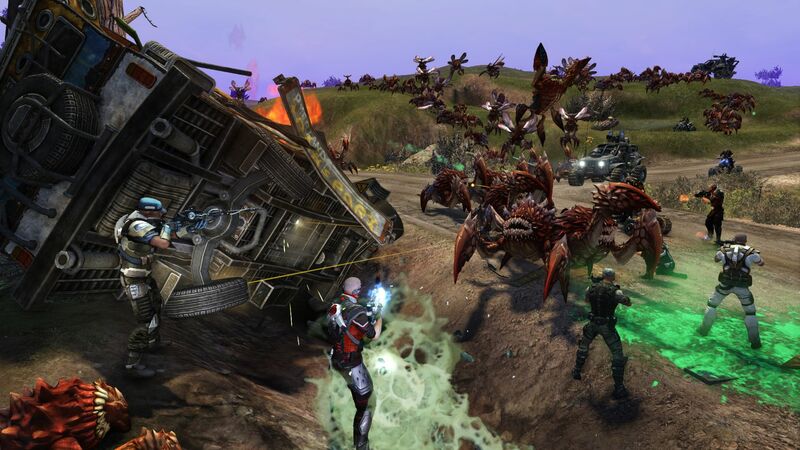 I saw a marker on my map in the distance, hopped on an ATV, and made my way over to a massive fight between humans and Hellbugs, the nightmarish creatures that are the result of decades of war between Earthlings and aliens. I jumped into the action, helping my fellow humans take out the bugs and picking up some loot along the way. At that point I was joined by a developer, who pointed out the ease with which I had gotten into the game. "That's exactly what we were going for," he told me. 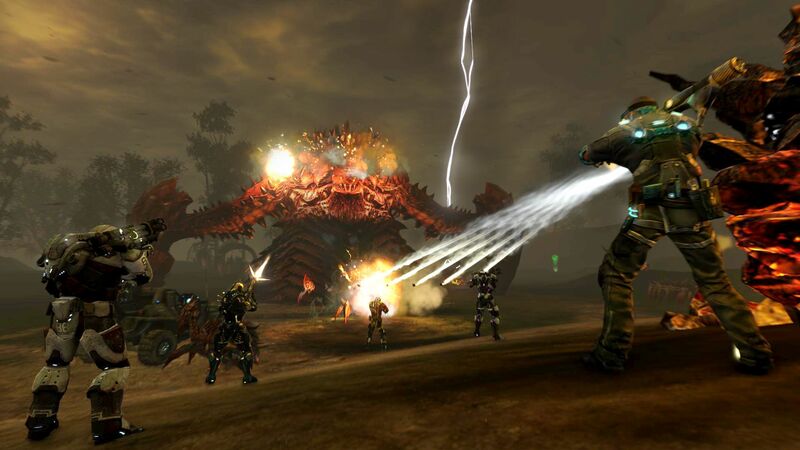 I was in the midst of an event that had changed a bright, sunny day to a gloomy one, and I went from objective to objective fighting bugs until the final challenge, an enormous creature that required teamwork and patience to take down. Throughout the entire demo, I never stopped having fun. What's cool is that while events like these will happen within the world of Defiance, participation in them is optional. 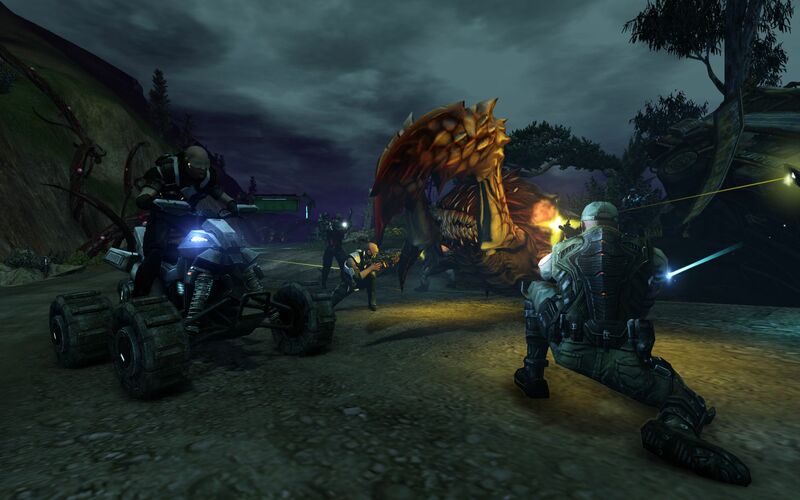 Players can continue on other quests, and when the skies darken and the Hellbugs appear they can answer the call or ignore it entirely. This is similar to Trion's MMO Rift, and seems to be working really well in that game, so it's great to see that interesting element used in another game. 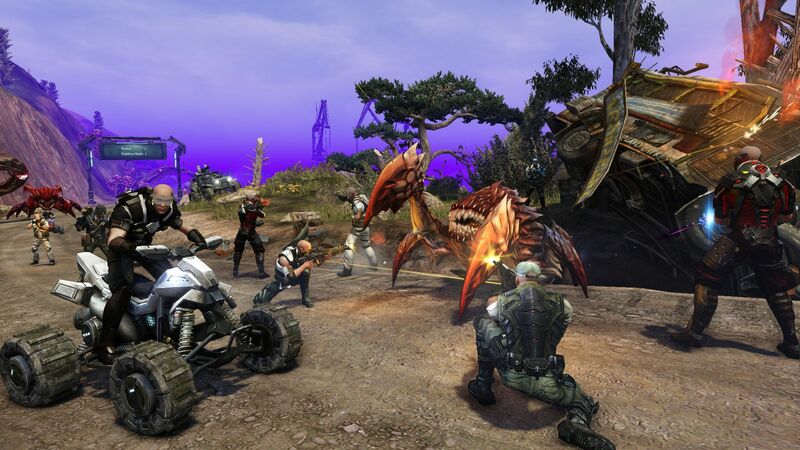 There are still a lot of questions to be answered with Defiance, but with almost a year until its release, there will be plenty of time to find those answers. 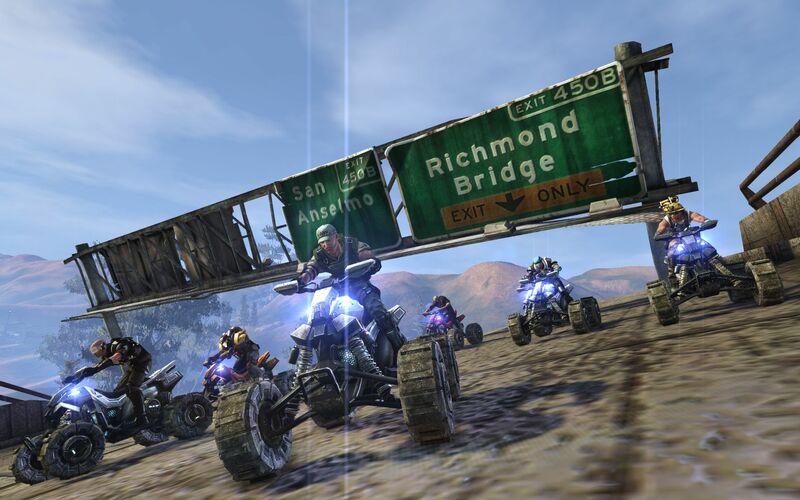 It's set to launch for the PC, PS3, and Xbox 360 in April 2013, with the television show premiering around the same time. 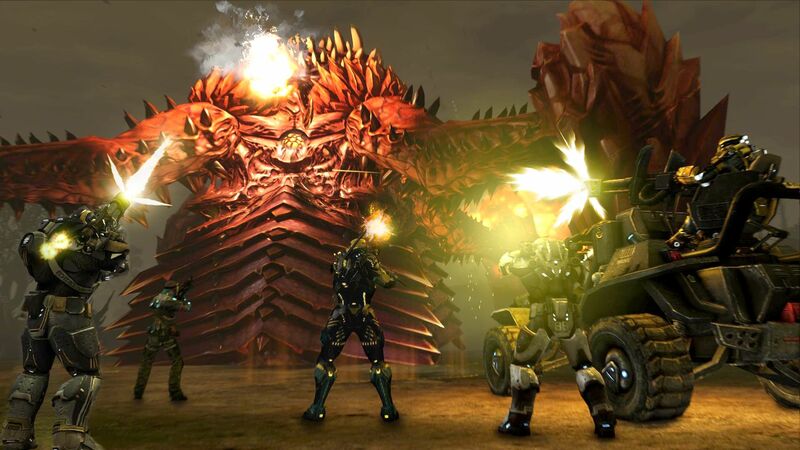 With so much ambition behind this project-both the TV show and the simultaneous multiplatform launch-it's easy to doubt whether or not Trion will be able to pull it off. After today, though, I'm a lot more convinced.